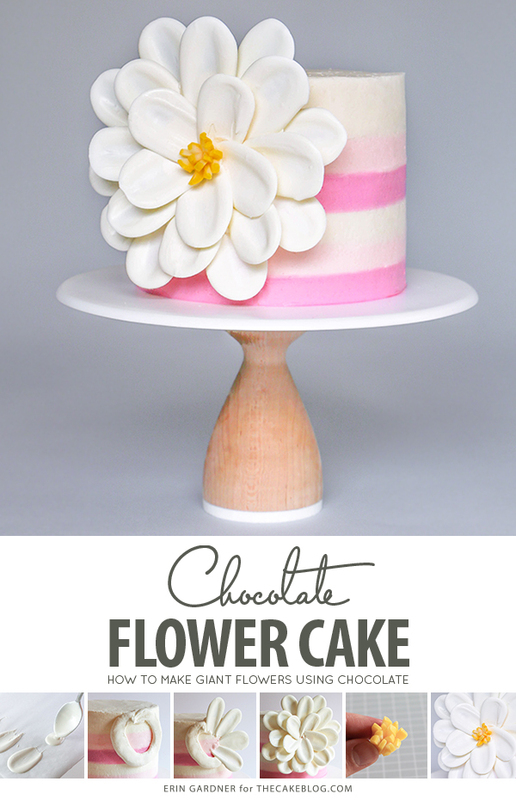 White Chocolate Flower Cake – how to make a side statement flower, using candy melts and everyday tools. A new tutorial by our contributor, Erin Gardner! 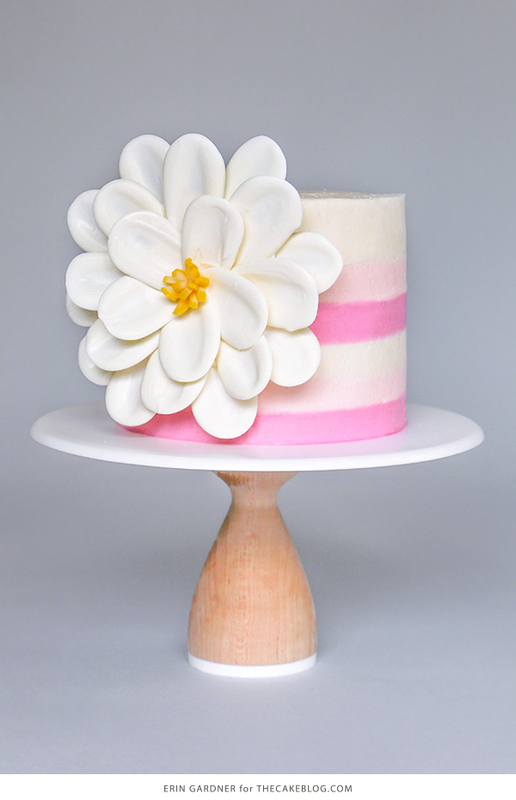 Create a simple, but chic statement bloom for your next cake with just a few ingredients and no special tools! It’s no secret at this point that I love making chocolate flowers. 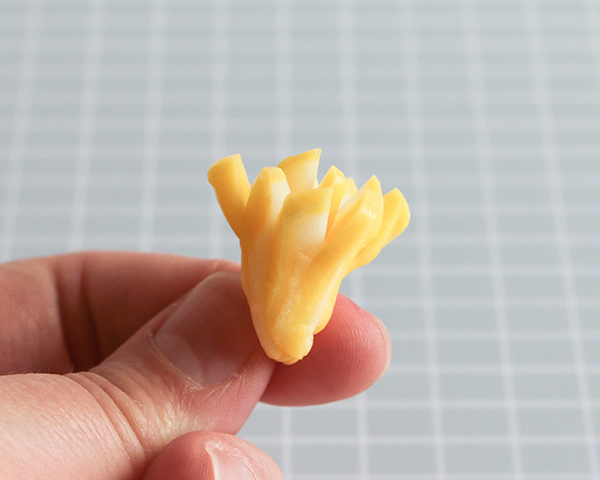 They’re gorgeous, easy to make, and delicious – what’s not to love? After I shared this chocolate flower cake last year, so many of you have topped cakes with your own chocolate flower creations. 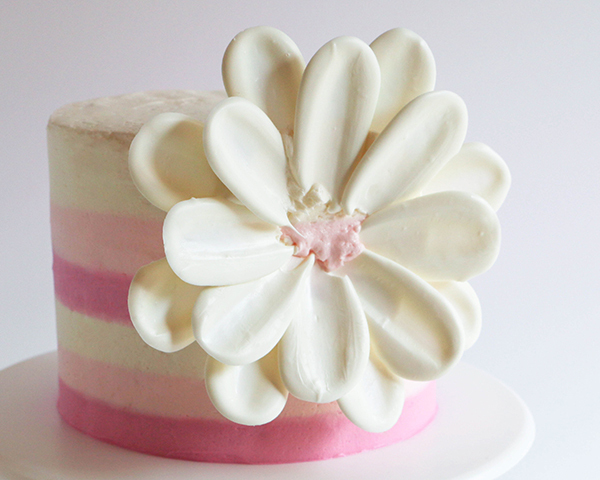 This time, I’m moving the bloom to the side of the cake. 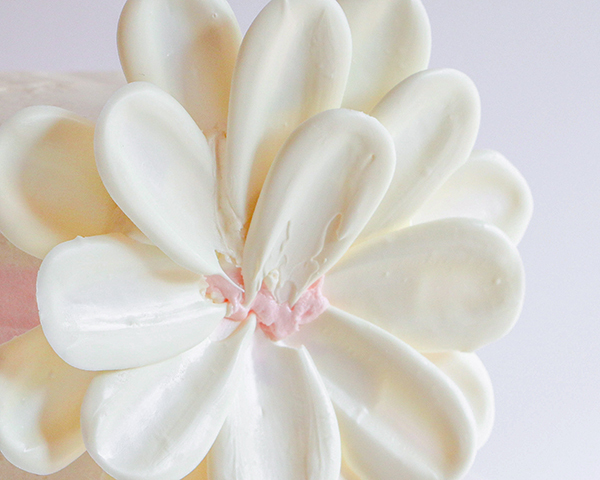 While the result is sure to impress, this might just be the quickest and easiest chocolate flower yet. 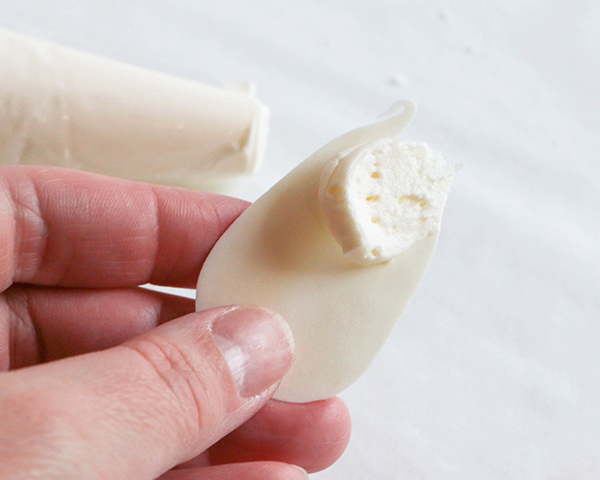 The size of the petals (and the resulting flower) depend on the size of the spoon you use to make them. 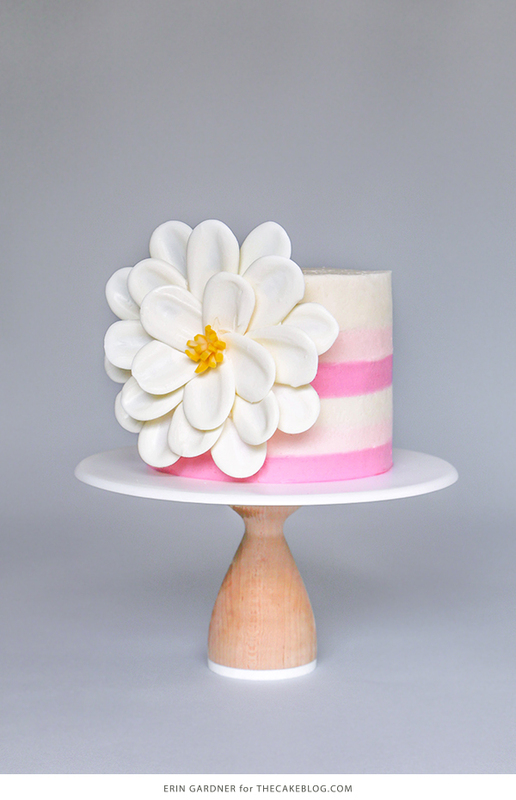 I used a classic teaspoon when making the petals for this 6-inch round cake. 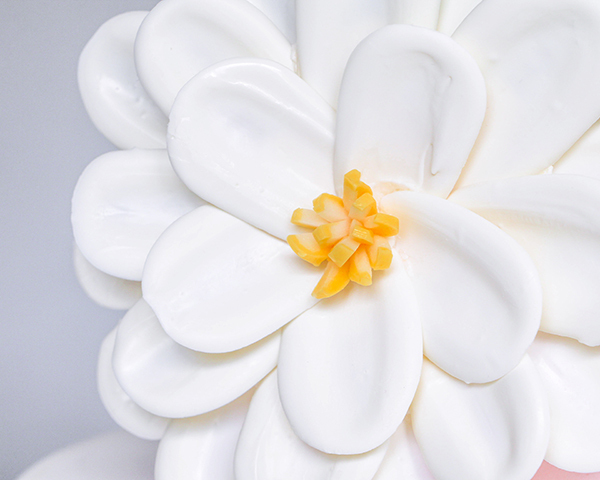 You could create a mega-bloom by using a tablespoon, a teeny floral treat for a cupcake using a demitasse spoon, or a flower with more rounded petals using a soup spoon. 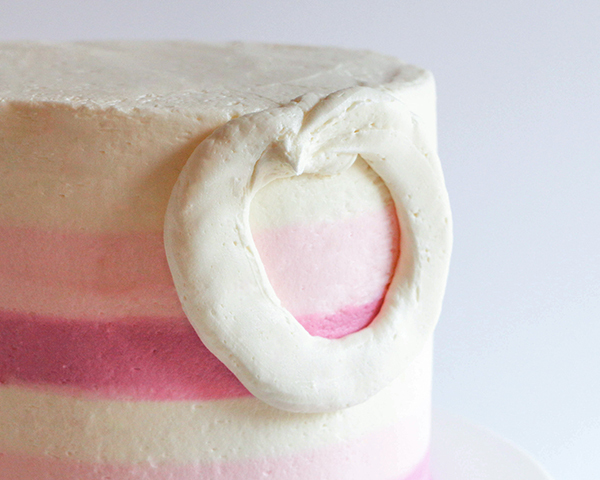 Bake, assemble and frost a 6″ round cake using your favorite cake recipe. 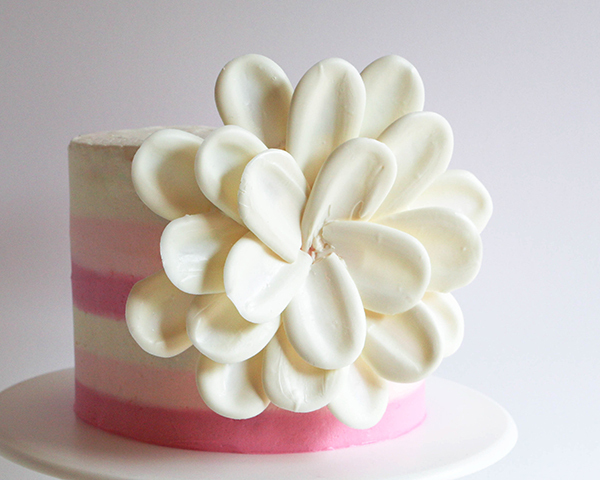 I frosted my cake using this striped buttercream technique. 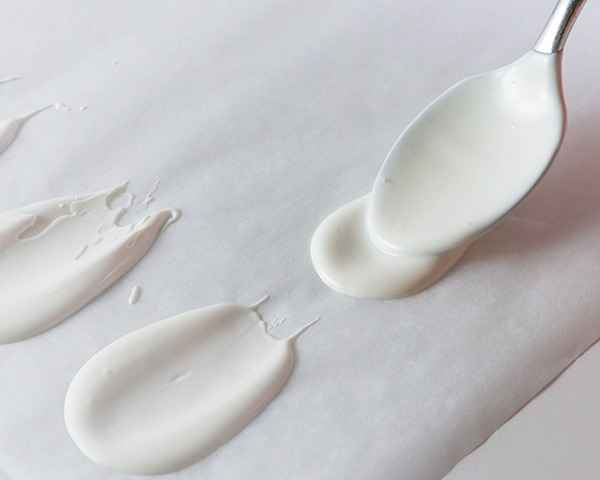 Melt white chocolate or coating chocolate in a heatproof bowl. 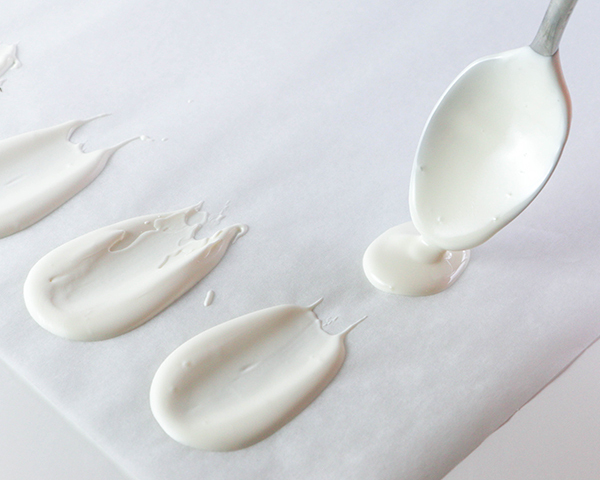 Scoop up a spoonful of chocolate and pour it into a puddle about the size of a quarter on a piece of parchment paper. 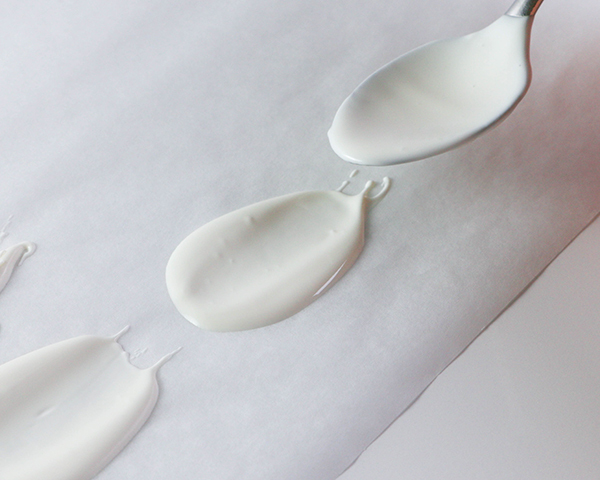 Use the tip of the spoon to smear the puddle into a petal shape. Repeat to make more petals. I used 22 petals to make my flower. 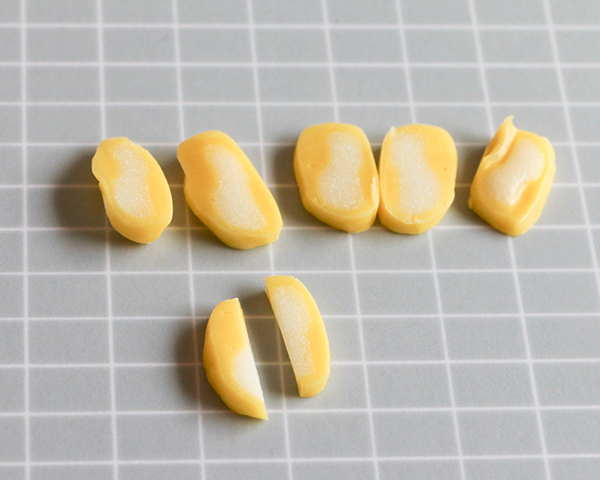 Set the petals aside until they’ve completely hardened, about 10 minutes. 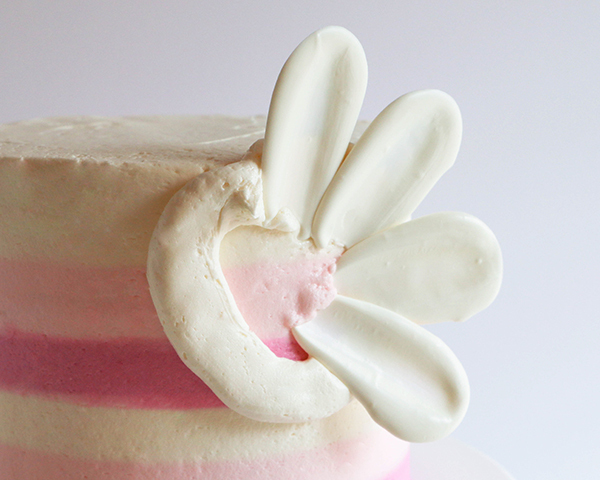 Pipe a 3-inch diameter circle of white buttercream on the sides of the cake so that it just peeks up over the top edge. 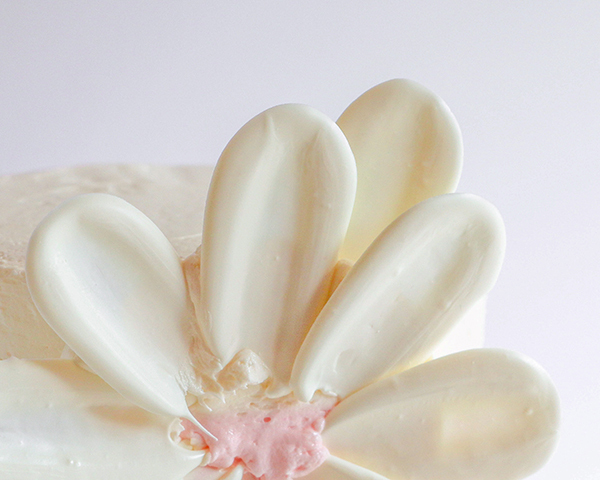 Lift a petal from the parchment paper and place it on the piped buttercream, rounded side out. Repeat with more petals to fill in the circle, overlapping the edges of the petals as you go. Add an outer row of petals by sliding them in behind the first row of petals. 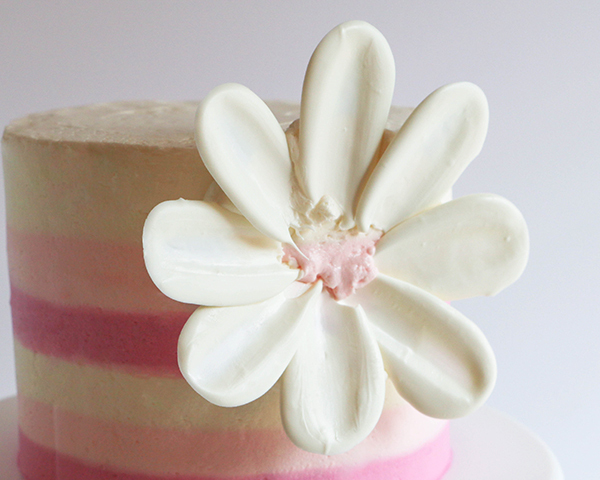 Attach an inner row of petals by piping dabs of buttercream onto the backs of the petals before placing them. 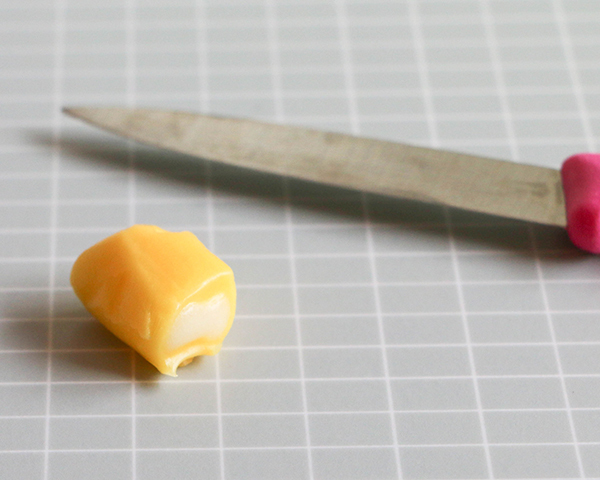 Cut a piece of yellow taffy candy into slices. Cut the slices in half lengthwise. 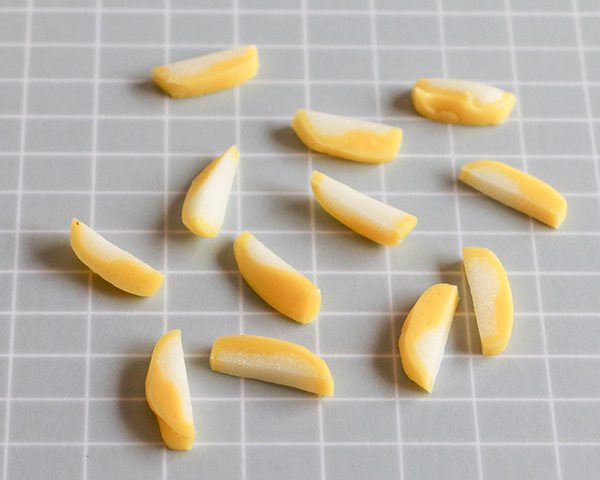 Gather the slices into a bundle and pinch them together at the bottom. 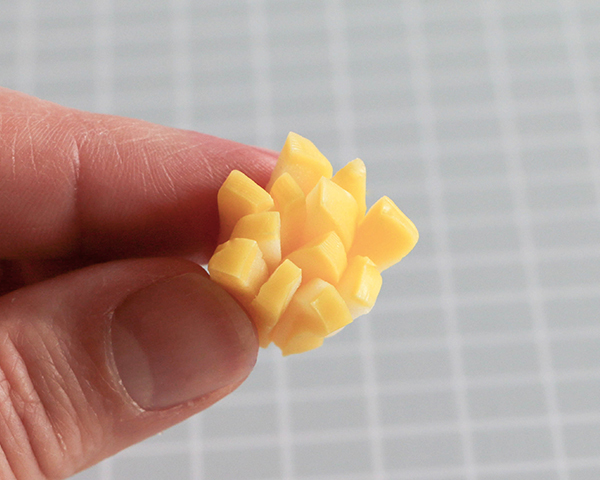 Push the bundle into the center of the flower, pointed end first. Your side statement flower is now complete! Awesome, thank you for all your great tutorials! OMG..so beautiful and elegant!! Do you think that I can use the same method in a fondant covered cake?? Great idea! Now I have use for my leftover candy melts 😊. Thank you! How will this hold during transport? I want to make my sister a bday cake but she’s two hours drive away. 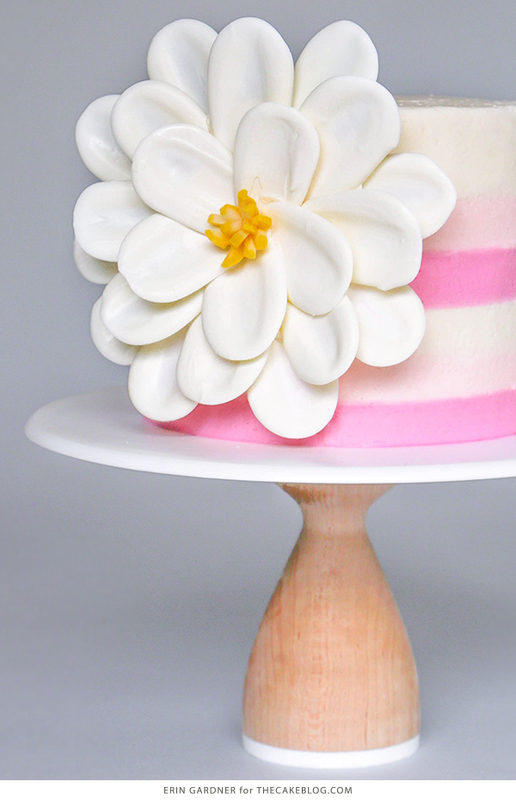 I am curious, won’t the heaviness of the flower make it slide off the cake? 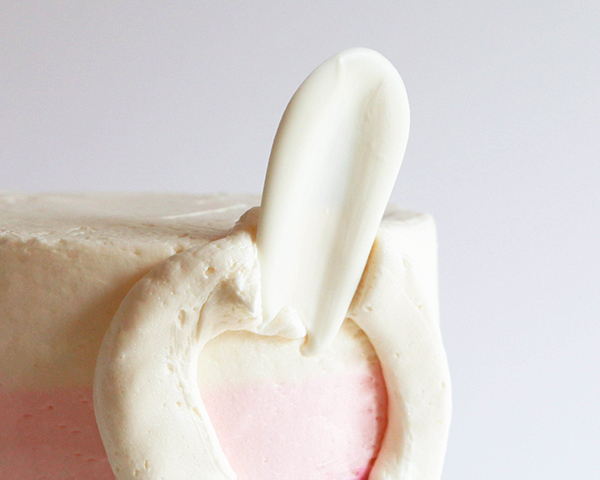 Will buttercream HOLD it there? I am still new to the cake world and would love some input. Thanks! !